TaylorMade’s Spider Tour putter has been one of the most popular models in the marketplace due to its performance on the PGA Tour. Pros like Jason Day and Dustin Johnson have had tremendous success with it. 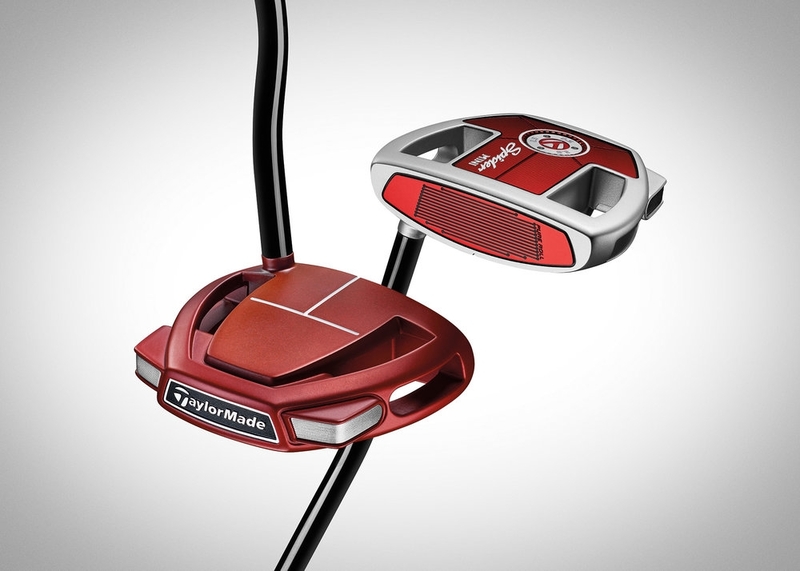 Building on the momentum, TaylorMade has released the Spider Mini. The TaylorMade Spider Mini was designed to solve a problem; how can the company get a player that uses a traditional blade putter to switch to a mallet-style putter, like the Spider Tour? Spider Tour has tons of forgiveness, thanks to its large head. However, such a large head can be a turnoff for the blade putter user. We’ll go over the notable features of the Spider Mini, showing you how it helps transition a blade putter player to a mallet. As we mentioned, size matters for a player using a blade putter. The head size of the Spider Mini is 15% smaller than the Spider Tour, easing the transition into a mallet shape. It’s a noticeable difference but it still feels like the putter gives you more forgiveness than the blade. To keep the stability and MOI as close to the Spider Tour as possible, the weight of the head on the Spider Mini is raised to 355 grams. The extra weight also helps with feel. Speaking of feel, if a player is going to switch to a mallet, it should feel similar. To accomplish this, the CG on the Spider Mini was moved forward 7mm, creating a feeling of the toe releasing. TaylorMade outfitted the Mini with a double bend shaft, promoting a mallet-like straight-back-straight-through putting stroke. 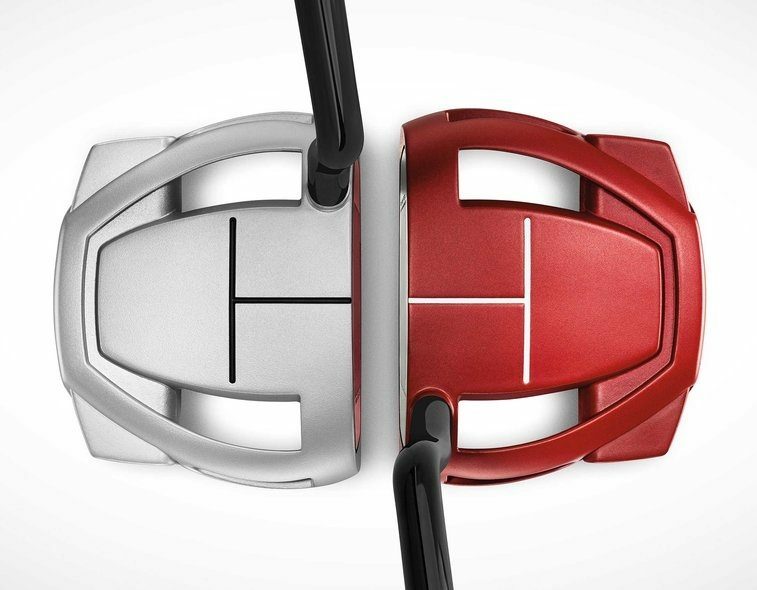 You can also choose from 2 color options; Tour Red or Diamond Silver. Lining up your putts with the Spider Mini is a cinch thanks to a unique T-sightline (pictured above). The width of the “T” is the same as a blade putter, further helping with the transition into a mallet. 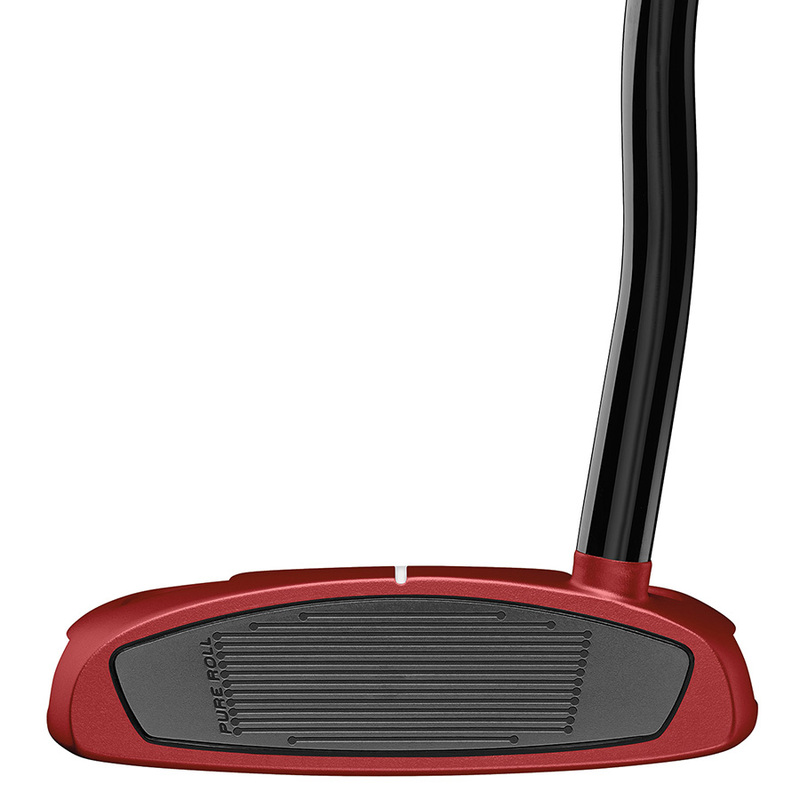 For us, the T-sightline also brought our focus to the front of the putter and golf ball. Traditional mallet putters can draw your attention to the back of the putter because of its size. This sightline moves your focus forward on lining up the putt better. The final feature to cover is the Pure Roll insert. The insert in the Spider Mini has the same 45-degree, downward-facing grooves to increase topspin and get putts online faster as the Spider Tour. However, the material that makes up the insert in the Spider Mini is different. A 5mm piece of aluminum (versus Surlyn in the Spider Tour) is used for a firm, crisp feel. Note that, despite the different material used to make the insert, the Spider Mini does feel softer than the Spider Tour, due to it being thicker in the Mini. Now that you have all the information on the TaylorMade Spider Mini putters, you can see how they help a golfer using a blade putter convert to a mallet. Try one for yourself if you’re considering a switch. If you know someone thinking about it, share this post with them so they can gain some insight into the matter. 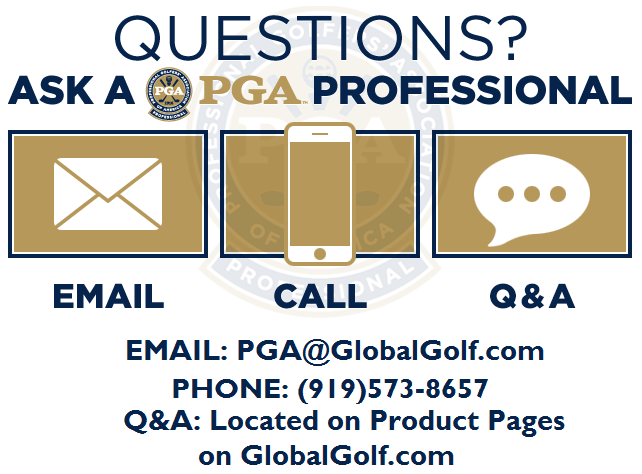 As always, if you have ANY questions, get can a hold of one of our staff PGA Professionals HERE.